It’s the scientific study of the factors underlying apparently paranormal experiences. At the Koestler Parapsychology Unit, we’ve always taken a broad approach to this topic, including (for example) ‘what’s not psychic but looks like it’, the psychology of paranormal belief, and the social and historical context of paranormal experiences and beliefs. So for us it’s not solely about testing the psi hypothesis (psi being the blanket name for paranormal abilities – pronounced ‘sigh’). 2. According to the Parapsychological Association’s website you completed a part-time PhD on the topic “The Relationship Between Performance on a Prototype Measure of Perceptual Defense/Vigilance and Psi Performance”. Um, what is that? Yes, it’s a snappy title, eh? Basically, it was looking at similarities between subliminal perception and extrasensory perception. 3. Can you explain to our readers what the term “experimenter effect” means? In parapsychology, it refers to the situation where certain experimenters seem to consistently obtain evidence for psi, whilst others seem to always get chance results. In psychology, it refers to the situation where the experimenter inadvertently influences the participant in his or her experiment, often to give results in line with the experimenter’s expectations. My studies have suggested that an important factor in parapsychology’s experimenter effect is the experimenter’s own belief in the paranormal. 4. What makes replicability important to parapsychology? Replicability would occur if parapsychologists could discover the ‘recipe’ for obtaining evidence for psi in their laboratory studies. It is important first because if we had a replicable effect then we could make quicker progress in understanding psi, and second because most scientists believe that if a claimed experimental effect is not replicable, then it is probably not valid, and third… there is no third. 5. I know this is a broad question, but can you tell us your thoughts on the psychology of paranormal beliefs and experiences? Because most paranormal experiences occur out in the real world, I think there is a huge amount of psychology going on with these experiences (the role of expectancy, belief, memory, suggestibility, motivation, for example). While some people believe in the paranormal because of an experience that they have had, about half believe for other reasons (e.g., religious or other world views, and hearing about paranormal phenomena in the media etc.) – so it’s a really complicated issue. Because of this, most parapsychologists turn to more controlled laboratory settings, with more artificial tests (for better or for worse), when trying to formally test whether there is any evidence for psi. 6. What do you think about television shows that touch on parapsychological topics, like “Sea of Souls”? I can’t bear to watch them! I can usually only last a few seconds before switching off because their depictions are so, ummm, ‘colourful’ – after all, these programmes are coming out of the entertainment strand, not factual. 7. Being the acting head of the Koestler Parapsychology Unit at Edinburgh University I just have to ask…haggis, delicious Scottish meal or paranormal phenomenon? Don’t believe what the cryptozoologists say – there are no haggi running wild on the hills of Scotland! Delicious in my view – both the meaty and the vegetarian versions. MacSween’s are the best! 8. What is one thing that you would like every Average Joe to understand about parapsychology? There are lots of normal factors that can cause people to have experiences that look and feel paranormal, but are not. I really am not a raving skeptic – honest! – but it’s so difficult to come to a clean conclusion on real-world, spontaneous paranormal experiences, that I think we have to turn to laboratory settings in order to be more confident about our conclusions. 9. On behalf of an estimated ¾ of our readers and my husband, how can I be you when I grow up? I think you need to have a good training in methodology, statistics, and critical thinking. A degree in psychology would be a good starting point. After that, you need to get a feel for what’s already out there in parapsychology-land – see my answer to question 10. I am thinking of setting up a distance learning (i.e. online) ‘introduction to parapsychology’ course – would you be interested? Interested? I already went to your website and took the survey to express my interest. 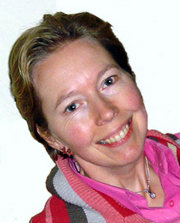 Dr Caroline Watt obtained her first degree in Psychology from the University of St Andrews in 1984, the year in which the University of Edinburgh announced that it would host the Koestler Chair of Parapsychology. The first Koestler Professor, Robert L. Morris, took up his post in late 1985. A few months later, Morris recruited Caroline Watt as his research assistant. Having been awarded a psychology PhD supervised by Morris, on the topic of perceptual defensiveness and extrasensory perception, Dr Watt continued to conduct parapsychological research and teach at the University’s Department of Psychology, first as Research Fellow and then Senior Research Fellow. Dr Watt worked with Bob Morris until his death in 2004. She was then appointed to a Senior Lectureship in psychology, her current position. In 2004 she became a member of the Scientific Advisory Board of the Bial Foundation. She served as President of the Parapsychological Association (PA) 2004-2005, and currently holds a position on the PA Board. Born in 1962 in Perthshire, Scotland, Caroline Watt lives in Edinburgh with her two sons.